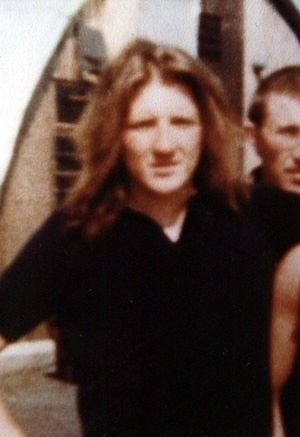 In 1972, Sands joined the Provisional IRA. Bobby himself wrote. “My life now centered around sleepless nights and stand-bys dodging the Brits and calming nerves to go out on operations. But the people stood by us. The people not only opened the doors of their homes to lend us a hand but they opened their hearts to us. I learned that without the people we could not survive and I knew that I owed them everything". He was arrested and charged in October 1972 with possession of four handguns which were found in the house where he was staying. 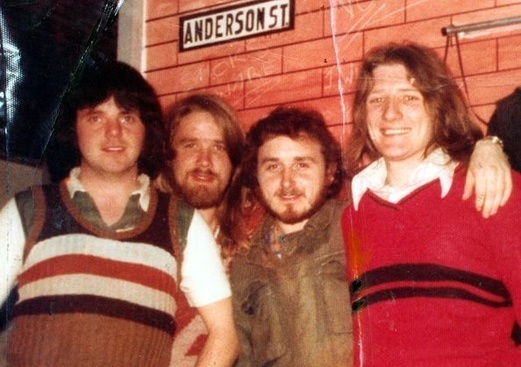 Sands was convicted in April 1973 sentenced to five years' imprisonment. He spent the next three years in the cages of Long Kesh where he had political prisoner status. During this time Bobby read widely and taught himself Irish which he was later to teach the other blanket men in the H-Blocks. Within six months Bobby was arrested again. There had been a bomb attack on the Balmoral Furniture Company at Dunmurry on October 1976, followed by a gun-battle in which two men were wounded. Bobby was in a car near the scene with three other young men. The RUC (Royal Ulster Constabulary) captured them and found a revolver in the car. 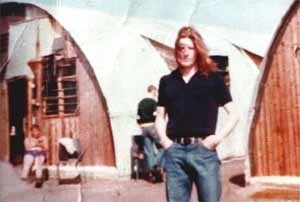 He was held on remand for eleven months until his trial in September 1977. As at his previous trial he refused to recognise the court. 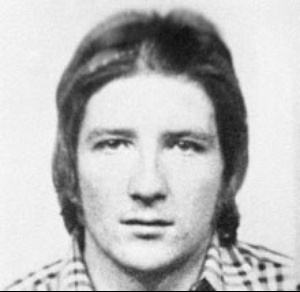 His trial in September 1977 saw him being convicted of possession of firearms (the revolver from which the prosecution alleged bullets had been fired at the RUC after the bombing) as judge admitted there was no evidence to link Bobby, or the other three young men with him, to the bombing. 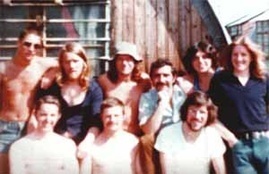 Sands was sentenced to 14 years' imprisonment within HM Prison Maze, also known as Long Kesh, the maximum security prison considered to be one of the most escape-proof prisons in Europe. 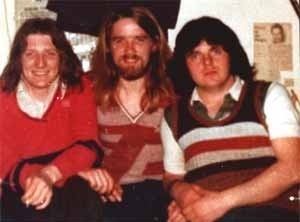 Bobby spent the first twenty-two days of his sentence in solitary confinement, ‘on the boards’ in Crumlin Road jail. For fifteen of those days he was completely naked and a No. 1 starvation diet every 3 days. He was moved to the H-Blocks and joined the blanket protest. 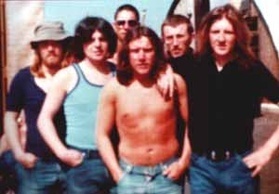 Republican prisoners had organised a series of protests seeking to regain their previous Special Category Status and not be subject to ordinary prison regulations. This began with the "blanket protest" in 1976, in which the prisoners refused to wear prison uniform and wore blankets instead. In 1978, this escalated into the "dirty protest", when the prisoners protested against systematic ill-treatment when they went to the toilets or got showered, so the H-Block prisoners refused to wash or slop-out. They were joined in this no-wash protest by the women in Armagh jail in February 1980 when they were subjected to similar harassment. 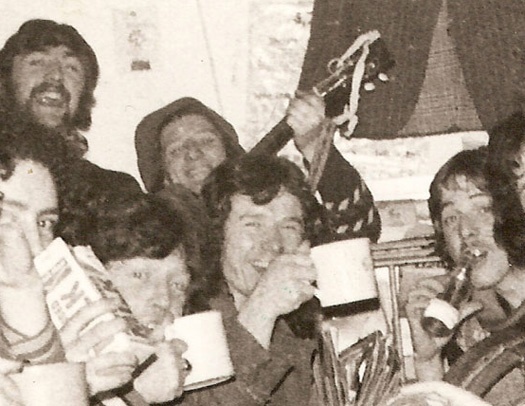 Bobby became PRO for the blanket men and was in constant confrontation with the prison authorities which resulted in several spells of solitary confinement. In the H-Blocks, beatings, long periods in the punishment cells, starvation diets and torture were commonplace as the prison authorities, with the full knowledge and consent of the British administration, imposed a harsh and brutal regime on the prisoners in their attempts to break the prisoners’ resistance to criminalisation. 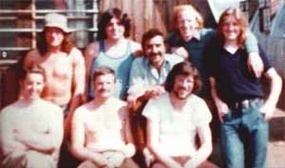 In late 1980 Sands was chosen as Officer Commanding of the Provisional IRA prisoners in Long Kesh, succeeding Brendan Hughes who was participating in the first hunger strike. On October 27th, 1980, following the breakdown of talks between British direct ruler in the North, Humphrey Atkins, and Cardinal O Fiaich, the Irish Catholic primate, seven prisoners in the H-Blocks began a hunger strike. On December 19th, 1980, Bobby issued a statement that the prisoners would not wear prison-issue clothing nor do prison work. He then began negotiations with the prison governor, Stanley Hilditch, for a step-by-step de-escalation of the protest. But the prisoners’ efforts were rebuffed by the authorities: ‘We discovered that our good will and flexibility were in vain,’ wrote Bobby.